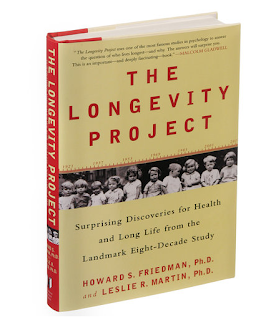 In a longevity study it was concluded that conscientiousness was perhaps the strongest predictor of a long healthy life. The 80 year study carried out in the US (which you can read about in the book 'The Longevity Project') explains this finding in terms of life paths. Those who take a mindful life path are far more likely to outlive those who just float along waiting for life to happen. In other words those with some kind of plan or purpose will fair better over the long haul than those who are betting on fate. This idea has been revealed in many similar studies as well. Those who live life with a purpose tend to live longer, happier more engaged lives and some of the most engaged purposeful people I know are musicians. Most serious guitar players have a life purpose even if they work a day job and that purpose is to master the guitar. To some this may seem to pale in comparison to finding a renewable clean energy source or saving the whales but in terms of extending your life it works just as well. The researchers found that it did not matter what you did as long as you were conscientious about it and it did not involve other high risk factors. The question of course is how do you know if you are conscientious or not and if not how do you become conscientious. Let's answer one question at a time. How do you know if you are conscientious? Ask yourself what your typical week looks like. How much time do you spend working on projects that you are passionate about? Are you focused on doing a great job or would you prefer to be somewhere else? In the case of guitar this means when you practice are you engrossed in your practice. A conscientious person pays close attention to the details. They are not in a rush to finish and in fact are likely to go overtime. There may very well be a deadline and they will deal with it but the aim is always to get the best result possible. A conscientious person will never just go through the motions. They are meticulous often checking their work several times just to be sure. Most importantly a conscientious person requires no incentives to give 100%. They do it because they see their work as meaningful.